Nash Street is a short street a close walk from the Central Business District, between Broadway and William Street near Michigan Avenue. The street is less than a quarter-mile long, but is a part of the rich history of Buffalo. Nash Street was known as Potter Street until the 1950s. 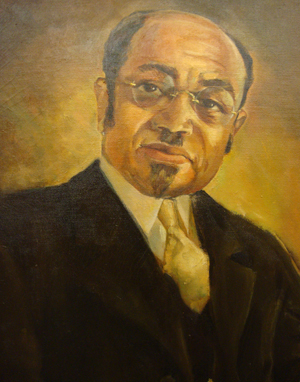 The Street is named after Jesse Edward Nash, Sr. Dr. Nash was one of the City of Buffalo’s most prominent African-American citizens for the first half of the 20th Century. J. Edward Nash was born in Occoquan Virginia in 1868. He worked as a farm hand, a blacksmith, a mason and a boatman. He was a student at Virginia Union College in Richmond with Reverend Adam Clayton Powell, Senior, the pastor of Harlem’s Abyssinian Baptist Church. Rev. Powell’s son was the first African-American elected to congress. Reverend Nash became a minister at age 18. At age 24, he came to Buffalo in 1892 to serve as pastor of Michigan Avenue Baptist Church. He was pastor from 1892 until he retired in 1953. Dr. Nash married Frances Jackson in 1925 and moved to 36 Potter Street in 1925. Dr. and Mrs. Nash had one son, Jesse Junior, who became a professor at Canisius College. The City of Buffalo has had a strong history of African-Americans living in freedom. When the City was incorporated in 1832, the city directory listed the names of 68 colored heads of families. 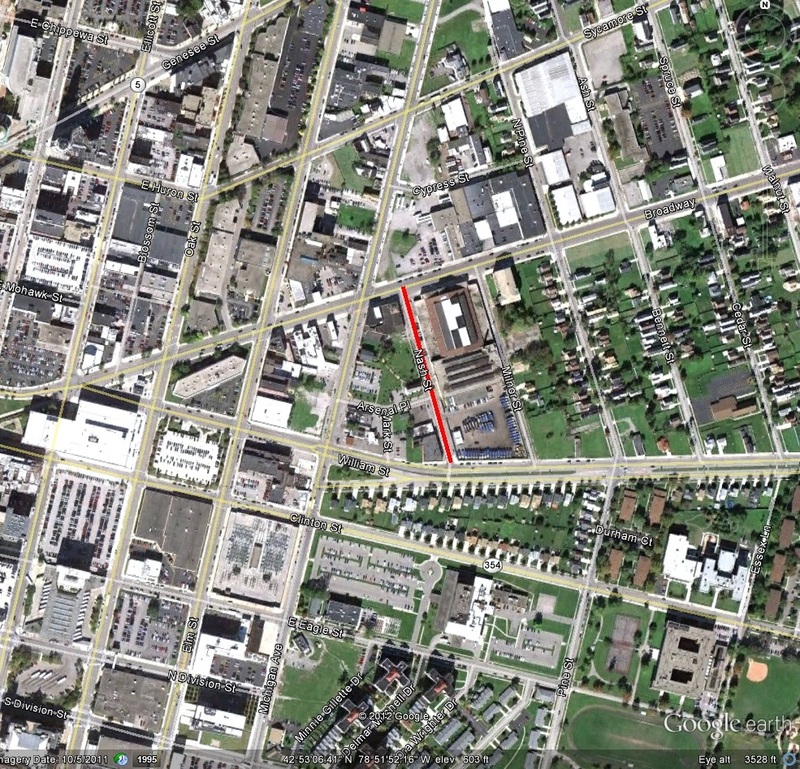 The majority of the African-Americans in Buffalo lived in the 4th Ward of Buffalo at the time – east of Main Street between North Street and South Division Street. Michigan Avenue was the heart of the African-American neighborhood. The Michigan Avenue Baptist Church was founded in 1836. The current church was built in 1845, prior to this, they worshiped in a meeting room on Niagara Street near Pearl Street. During the early 1900s, Buffalo’s African-American community was growing quickly, due to the City’s industrial economy. When Dr. Nash came to Buffalo, there were only three established African-American churches. By 1952, there were more than 30 churches. Because of his education, Dr. Nash was well respected and he became one of the main representatives and spokesperson for the City’s African-American Community. Reverend Nash helped to found the Buffalo Urban League. This functioned as an agency to welcome African-Americans to Buffalo when they arrived from the south, by helping them find housing and jobs. The Buffalo Urban League is still in operations today. Reverend Nash was unique in his role in Buffalo. He was widely respected by the city’s white leadership, so he had access to the Mayor and elected officials. This was uncommon in many other cities during this time. He worked to put together community meetings of black Buffalonians to intercede on behalf of other black citizens who were being wronged because of their race. Dr. Nash was well-known, not just in Buffalo, but throughout New York State and the entire country. He hosted Booker T. Washington in 1910 in Buffalo. In addition to Mr. Washington, many nationally known African-American leaders were guests of Dr. Nash’s, including WEB DuBois. Dr. Nash’s neighbor was Mary Talbert, another significant African-American in Buffalo during this time period, but we’ll get to her later (there’s a street named after her as well). In 1912, Virginia Union University awarded Nash an honorary doctorate. Dr. Nash served as treasurer of the Western New York Baptist Association, secretary of the Baptist-Disciples Ministers Fellowship. He was chaplain at Meyer Memorial Hospital (the predecessor to ECMC). During the 1950s. Buffalo was undergoing a series of urban renewal projects. Many of these projects impacted African-American neighborhoods disproportionately. Dr. Nash advocated for fair housing and worked to stop the loss of affordable housing which was occurring under the name of “slum clearance”. Dr. Nash retired as pastor in 1953. To commemorate his retirement, the City renamed the street from Potter Street to Nash Street. In 1954, Dr. Nash was awarded one of the first Brotherhood Awards from the National Conference of Christians and Jews. He passed away in 1957 and was survived by his wife and his son Jesse Edward Nash, Junior. He is buried at Forest Lawn. The Nash House is located at 36 Nash Street. 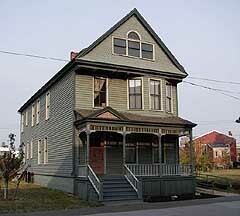 The Buffalo Preservation Board and Buffalo Common Council designated the NAsh House a local historic landmark in 2001. The house was originally built as a two-family residence, with an upper and lower unit. Many of the houses in Buffalo were built like this as a practical form of housing for the urban middle class. The Nash family lived on the second story of the house and rented out the lower floor. The house was built around 1900. Few changes have occurred through the years, and the historic integrity of the structure has been preserved. The house and its contents, which included most of Dr. Nash’s papers, were acquired by the Michigan Street Preservation Corporation in 2000. Restoration from 2002-2003 included restoration of the clapboard, windows and front porch. The Nash family living quarters is fully restored, and the lower levels was rehabilitated for office and research space. Dr. Nash and his family lived in the house from 1925 until 1987. He passed away in 1957, but his widow occupied the house until she died in 1987. The Nash House was restored and opened as the Nash House Museum in May 2007. The museum provides a glimpse into what life was like in the early 1900s on Buffalo’s East Side. The museum is open Thursdays and Saturdays from 11:30-4pm. My interest has been piqued and I intend to check out the museum, hopefully this weekend. For more information on the Michigan Street Heritage Corridor Commission and some of the amazing African-American history of Buffalo that happened in this neighborhood, please read this report prepared for the Commission by a UB Planning Studio. This neighborhood has a personal history for me, as my uncle owned the complex of buildings known as the Dellenbaugh Block at the corner of Broadway and Michigan for much of my childhood. He operated a car wash and pizzeria on the Broadway side of the block. There was a pharmacy on the Michigan side of the building which always reminded me of the pharmacy in It’s a Wonderful Life. The pharmacy here in this building was the first 24-hour pharmacy in Buffalo. 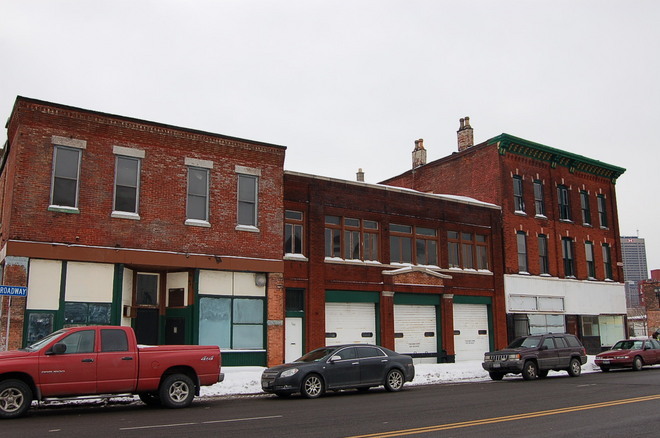 The Langston Hughes institute has plans to develop the Dellenbaugh Block. More on their plans can be found here. Some of my most vivid childhood memories were spent exploring that building and being fascinated by the neighborhood and the history. The dark and scary basement of the building always freaked me out, because legend has it that it was a part of the underground railroad. Portions of the building were built in 1842. The city lists the building as being built in 1890, but to my childhood imagination, there were civil war era ghosts in that basement. The Dellenbaugh Block is a designated landmark with the City of Buffalo. The block is named for Frederick Dellenbaugh, a German immigrant. Mr. Dellenbaugh was a physician and built his home and office at 173 Broadway circa 1842. The house is visible from Nash Street, behind the newer storefront. The storefront was the location of a Deco restaurant in the 1930s. Across Nash Street is the Broadway Barns, a City of Buffalo DPW garage. This building was originally designed as a New York State Arsenal. Portions of the original circa 1865 armory still exist and can be seen from the inside of the building. Once the regiments left the Arsenal, the building was converted to an exposition and event hall. This was used for events prior to the construction of the Buffalo Memorial Auditorium on the Terrace. There are pictures of elephants walking down Broadway to get to the circus at the old Broadway Auditorium. After the Memorial Auditorium was built, the Buffalo Streets Department began using it as a garage. What a change this building has seen in the past 150 years! What a history in this little pocket of a neighborhood! Check out the Street Index to learn about other streets in Buffalo. There was also once a street called Vine Street near the Nash house and just north of William. It was the site of the first African-American community in Buffalo. It’s shown on older maps and is mentioned in African-American histories of Buffalo. BTW, about the City’s records showing a building having been built in 1890: IINM, a lot of the City’s records include that date as a default but it has no relation to the actual age of the building. Folks at Grosvenor Room or BECHS could confirm specifics on that. I’ve seen a lot of dates of 1900 and 1950 as placeholders….not usually 1890. The 1889 Sanborn map does not show the building (except the circa 1840 part), but the later maps do, so I think the date is pretty accurate. I’ve spent a lot of time researching the building, as it’s owned by my family. Vine Street was across Michigan Avenue. The African American neighborhood that grew up around this area fascinates me. I love the Colored Musicians Club, and everything that Mary Talbert did during the Pan American Expo. It’s a wonderful part of Buffalo’s history that not many people know about! Ah, that helps. There was an 1842 portion, with the rest of the building built in 1890. Thanks for the clarification! This makes me cry so lovely. We once had a lovely city. I used to live on Clinton next door tot John Heinrich Lumber Co. move to Monroe and Brown St, went to 41 school. My father was a musician played at Federal Gardens Genesee Street, Musicians Local Arthur’s Pub. Thanks for sharing Patricia! I love to hear everyone’s stories about what neighborhoods were like. Your mention of the music clubs just reminded me that I haven’t been to the Colored Musicians Club in a while…I need to change that! Take care! had a prob with my computer. But Used to play around Wm Bennett streets/ Go down into a tunnel at the corner and there was a Bath house. Tunnels everywhere. there wasn’t enough Bathtubs, people were living in Storefronts. At the Old Build Academy was a boarded up room we opened it up during the BUILD days and went across the street to the Old Bennett High! they may have ceiled It up by now. My mother used to take me Rev Nash’s church, but she belonged to Trinity Baptist Church on Spruce Street, Pastor Julius Sparks ( now on Bailey Ave) There was always a program, like the BTU ( Baptist Training Union) going on. My father played a Hammond B3 Organ and piano, played at the Musicians Local back in the 49’s , early 50’s. ( The 1st and only Musicians local in the whole USA! )When some one would open the peep hole door for me, they would kick me out, knowing who I was. Ifs too young just a teenager. Summer time was tent revival. Cherry Red’s (after hour joint) was on Eagle/ Michigan right off William St. What a contrast watching the night people getting ready tog home while the church folks were just coming out.